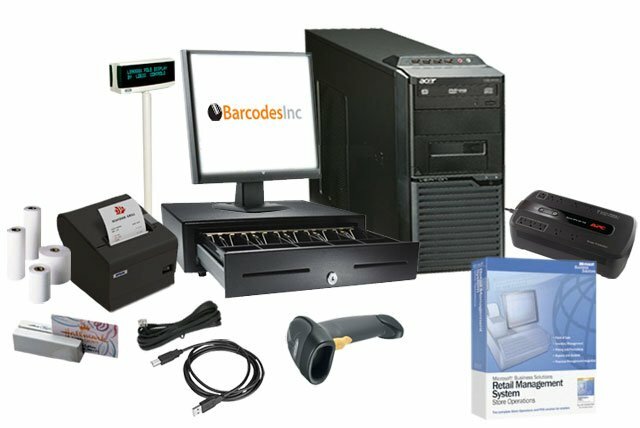 BCI Premium Point of Sale System - Includes Microsoft Dynamics Retail Management System software, PC, monitor, laser barcode scanner, thermal receipt printer with paper, cash drawer, customer pole display, magnetic stripe card reader, back up power supply, and all necessary power supplies and cables. Our Premium Point of Sale System features Microsoft Dynamics Retail Management System. This powerful software package automates POS processes and store operations, can provide centralized control for multi-store retailers, and integrates with Microsoft Office system programs, Microsoft Dynamics GP, and other popular applications. This system includes software to cover your first checkout lane, and can be scaled for multiple lanes, or even multiple stores. Also included: PC, monitor, laser barcode scanner, thermal receipt printer with paper, cash drawer, customer pole display, magnetic stripe card reader, back up power supply, and all necessary power supplies and cables. The BCI PREMIUM-POS-SYSTEM is also known as PREMIUM-POS-SYSTEM	or PREMIUMPOSSYSTEM	.